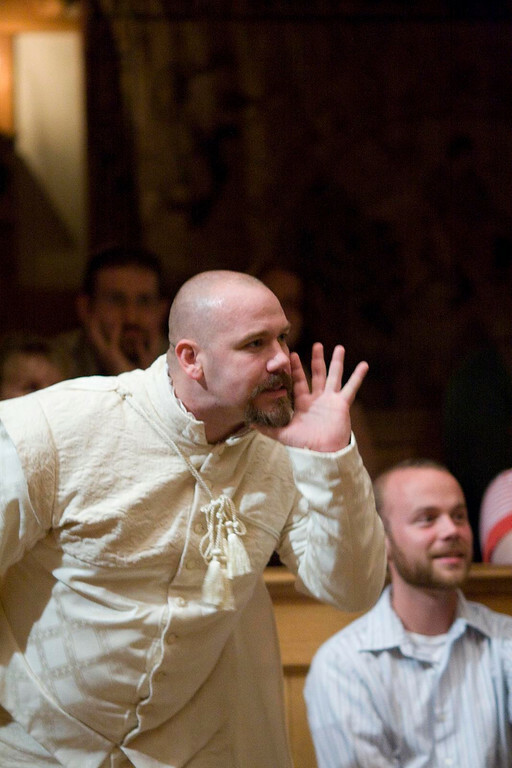 Rick Blunt in ROSENCRANTZ AND GUILDENSTERN ARE DEAD. Photo by TOMMY THOMPSON. 2009. 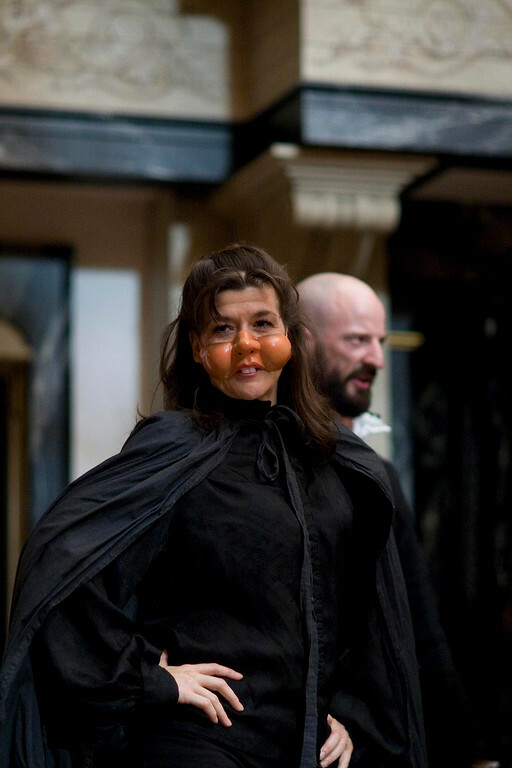 Ginna Hoben in ROSENCRANTZ AND GUILDENSTERN ARE DEAD. Photo by TOMMY THOMPSON. 2009. 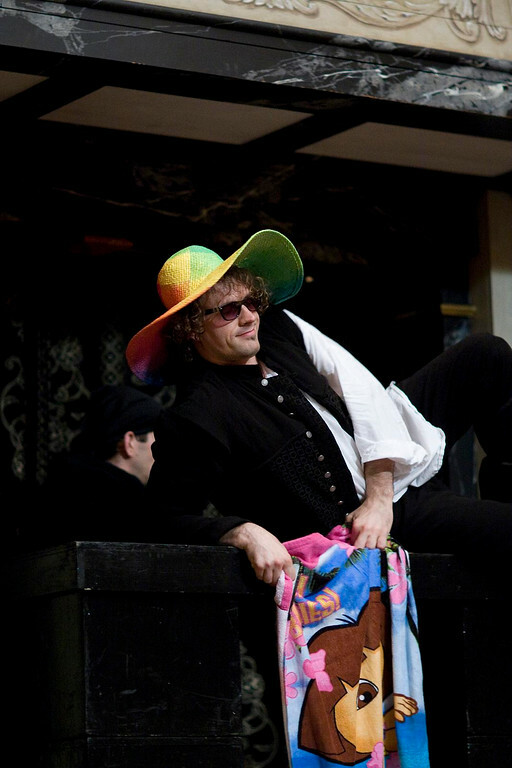 Daniel Kennedy in ROSENCRANTZ AND GUILDENSTERN ARE DEAD. Photo by TOMMY THOMPSON. 2009. Ginna Hoben and the cast of ROSENCRANTZ AND GUILDENSTERN ARE DEAD. Photo by TOMMY THOMPSON. 2009. 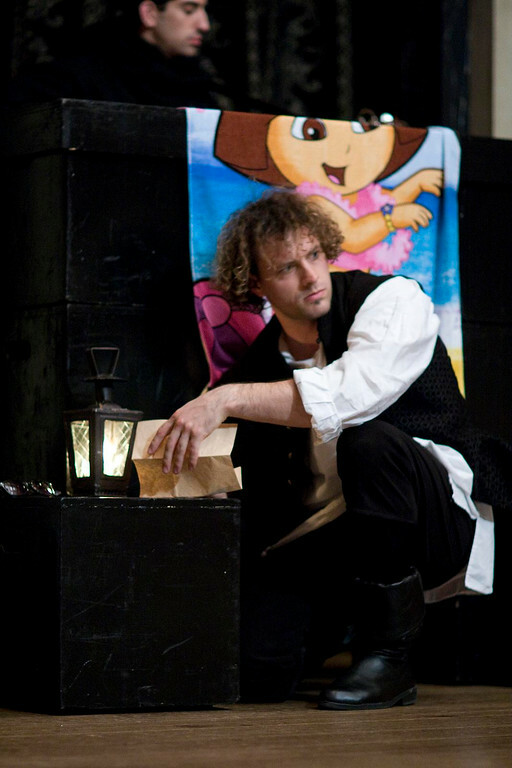 Jonathan Reis and Josh Carpenter in ROSENCRANTZ AND GUILDENSTERN ARE DEAD. Photo by TOMMY THOMPSON. 2009. 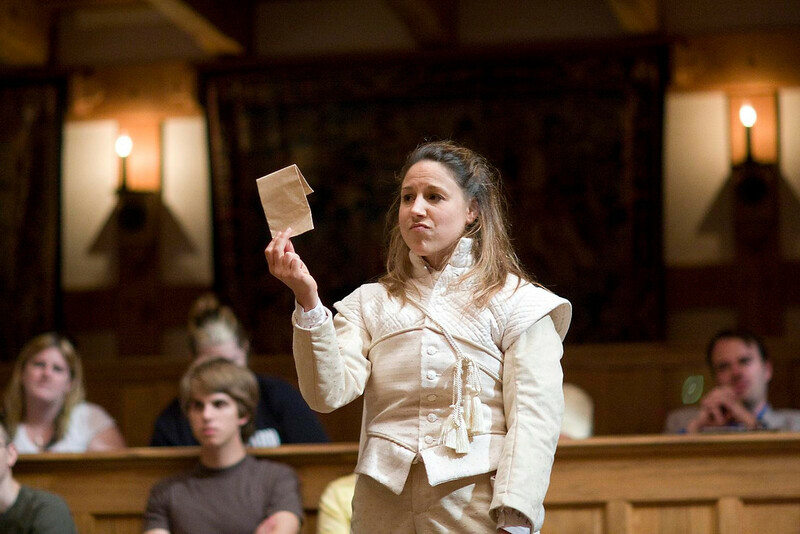 Kelley McKinnon in ROSENCRANTZ AND GUILDENSTERN ARE DEAD. Photo by TOMMY THOMPSON. 2009. Dennis Henry in ROSENCRANTZ AND GUILDENSTERN ARE DEAD. Photo by TOMMY THOMPSON. 2009. Luke Eddy in ROSENCRANTZ AND GUILDENSTERN ARE DEAD. Photo by TOMMY THOMPSON. 2009. 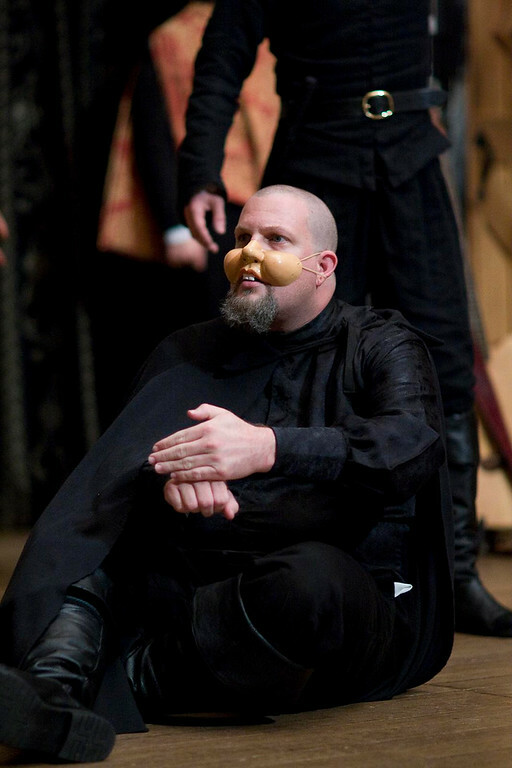 A troupe of traveling actors encounter R&G and offer them “entertainment.” As the players prepare to perform, something happens. The King and Queen welcome R&G and ask them to discover what’s troubling Hamlet; the King and Queen leave. Hamlet calls Polonius a “fishmonger,” greets R&G, and asks them if they were “sent for” or if “it is a free visitation.” Hamlet leaves. 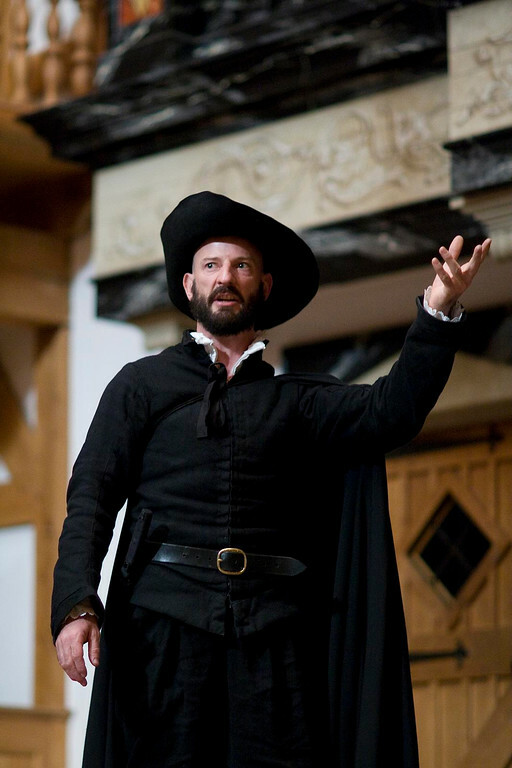 Players arrive at Elsinore; Hamlet knows them and requests a performance of The Murder of Gonzago, with the addition of “a speech of some dozen or sixteen lines which [Hamlet] would set down and insert in’t.” Hamlet leaves. Much to the astonishment of R&G, the rest of Hamlet ensues. In 1999, Shakespeare in Love took home seven Academy Awards, including Best Picture. One of two writers responsible for that screenplay, Tom Stoppard, began his writing career with Shakespeare at the center of his work. The play’s fortune improved soon after. In April of 1967, Derek Golby directed an expanded version of Rosencrantz and Guildenstern Are Dead at the Old Vic in London, and in October 1967 the play opened in New York at the Alvin Theatre. The play received a Tony Award for Best New Play and won the New York Drama Critics award for Best Play. Since then, frequent performances have elevated Rosencrantz and Guildenstern Are Dead to the status of a modern classic as the flip side of Shakespeare’s Hamlet. R&G is the perfect addition for a repertory company doing Hamlet. The characters in the two plays are the same, they are trapped inside the same plot, and whenever the “major” characters from Shakespeare’s play are on the stage, they speak the same words. 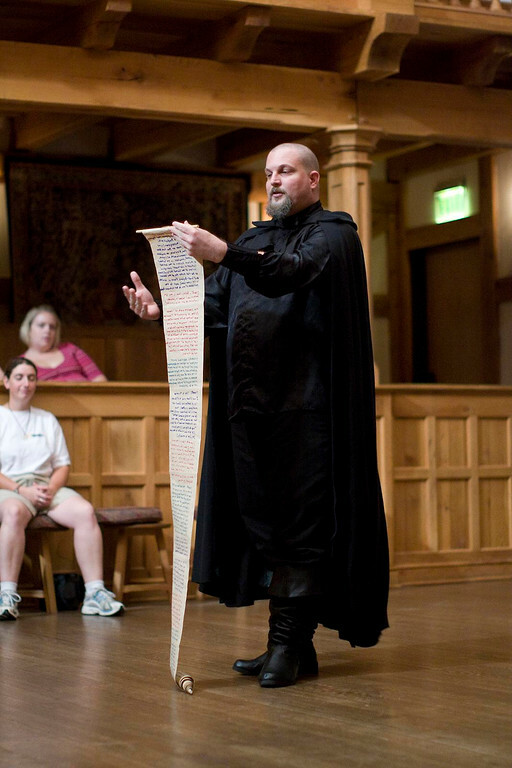 ASC first mounted R&G as part of the 1995 Word to the Third Tour repertory which also included Hamlet and appeared at the International Fringe Festival in Edinburgh, Scotland with a cast of twelve. Our Hamlet and R&G used the same actors in the same roles, but each show was directed by a different director. In 2001, in the Odyssey Tour rep that opened the Blackfriars Playhouse, both shows were directed, designed, and rehearsed together to make the most out of shared scenes and situations. Stoppard’s R&G that appeared at the Old Vic used many tricks of the modern theatre, including turning the lights off on the audience, but when the play first appeared on that small, flat church hall at the Edinburgh Festival, I’m sure Stoppard had very few technical elements available to him. Our production will milk Renaissance staging conditions (as all our shows do): we’ll leave the lights on the audience, our actors will be talking directly to the audience, and we will have to find new ways of pulling off moments in the script which call for the tricks of the modern theatre. The joy of crafting both productions to be companion pieces is matched only by the excitement of knowing that both shows will travel the U.S., turning every venue into an Elizabethan environment before the plays and players take up residence in our own Blackfriars Playhouse for our 2009 Spring Season.